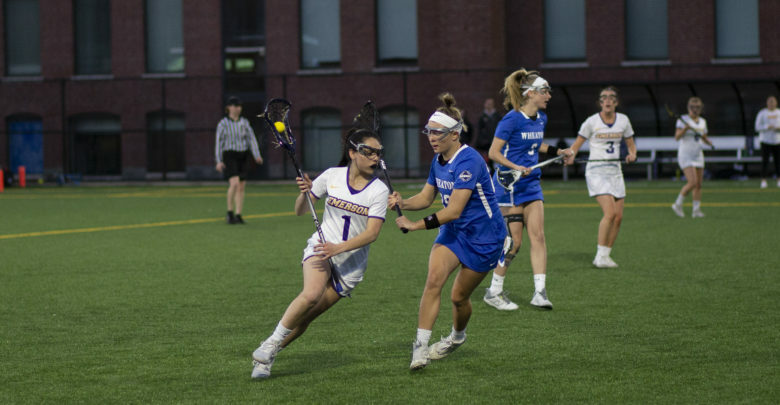 The women’s lacrosse team suffered a 21–3 setback against conference opponent Mount Holyoke College on Wednesday afternoon. 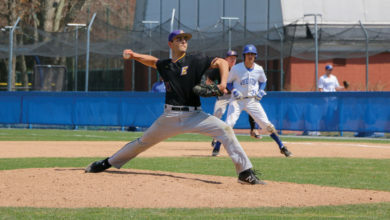 The Lyons opened the game with an 8–0 run. Emerson answered back with goals from sophomore midfielder Kelli Mark and junior midfielder Camille Mumford. Mount Holyoke responded with a goal from senior Haley Subocz and went on a 4–0 scoring run and led Emerson 13–2 at the end of the first half. Head coach Jessie Koffman said she remains optimistic after the loss and highlighted the younger players on the team and improvement from the start of the season. At the half, Emerson led Mount Holyoke in draw controls by one and trailed in shots by one. Koffman said that conference play is tough and the Lions look for little victories to keep moving forward. The Holyoke team continued scoring to start the second half with a 7–0 run. The Lions answered back with a hard shot into the top left corner by freshman midfielder Julia Mallon. Subocz scored for Holyoke to end the game, marking—her fifth goal. Mount Holyoke finished with eight different scorers, including four goals each from senior attacker Deyscha Smith and junior midfielder Julianna Rankin. Junior goalie Mia Wysocki made 17 saves on 20 shots for the win—her sixth of the season. The Lions fall to a record of 0-3 and rank ninth in New England Women’s and Men’s Athletic Conference play with five games left in the season. Emerson will play Smith College on Saturday, April 13 at 1 p.m. at Rotch Field on the team’s senior day.